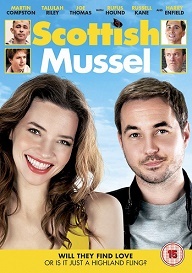 Scottish Mussel is released on DVD October 17th. And to celebrate we have a great competition for you and 5 copies on DVD to give away. Ritchie is a Glaswegian chancer with low hopes and no prospects. Disillusioned with city life, he goes undercover at a Highland conservation centre to make his fortune as an illegal pearl fisher with the help of his two hapless and accident prone mates. Here he meets Beth, a pretty English conservationist passionate about saving endangered mussels from the clutches of pearl thieves in the Scottish Highlands. Falling for her instantly, Ritchie must beat off competition in the form of Highland Ranger Ethan, a smooth talking American Adonis convinced that Beth can’t resist his charms forever.